Scroll down for versatile African Food Recipes. 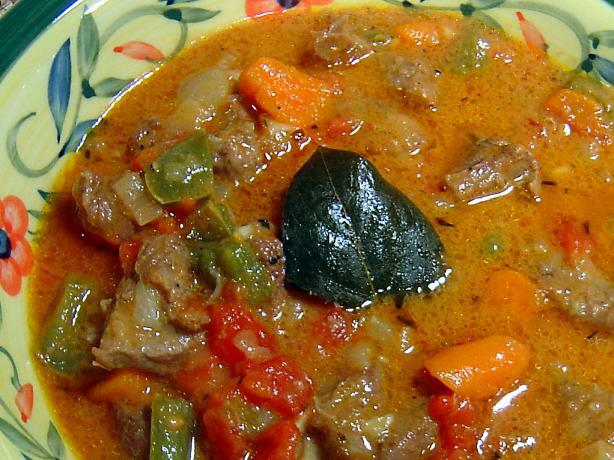 Shown above: African Beef Stew. Shown below: Recipes for spiced butter and Injera, a flatbread commonly known as Ethiopian Silverware. 1 cup of Teff flour (If you can't get Teff flour, fine wheat flour or buckwheat flour will do). In a large bowl, combine the flour and the baking soda. Add the club soda and mix well to form a mixture of about the same consistency as pancake batter. Brush a large skillet lightly with oil. Heat until hot over medium heat. Carefully pour the batter in a circle around the edge of the pan until the center is filled in. Tilt the pan and gently shake it to fill in any air holes. Cook for 1 or 2 minutes, until the surface is spongey. DO NOT flip the bread. 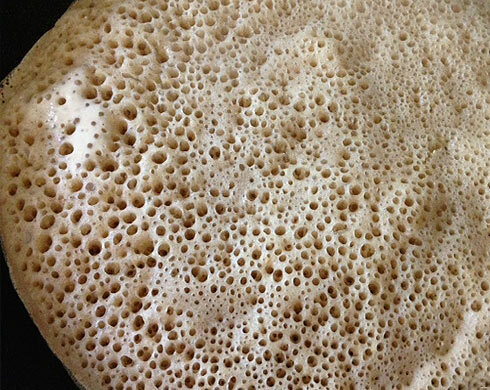 Gently tip the pan, and slide the Injera bread onto a plate. Repeat the above steps until all of the batter is gone. Arrange the bread around the edges of a large plate, with another piece in the center. Serve Injera bread with any type of stew. Niter Kebbeh is an Ethiopian spiced butter. It is used in any number of African Food Recipes. Melt the butter in a large saucepan. When butter is foamy, add all the other ingredients. Lower heat to simmer and cook uncovered for about 5 minutes. Skim the foam off the top surface and strain the clear liquid thru a cheesecloth several times. Pour it into a jar and refrigerate. Amtrak Train Stations in All 50 States. Greyhound Bus Stations in All 50 States. Car Insurance Stats for All 50 States and Washington DC. This site was last updated January, 2019.